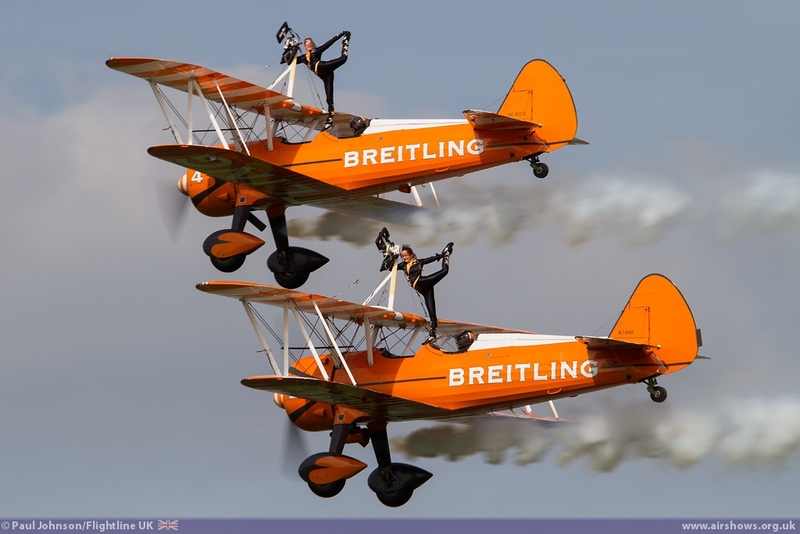 The traditional season opening event is the Abingdon Air and Country Show held at the former RAF airfield just south of Oxford. 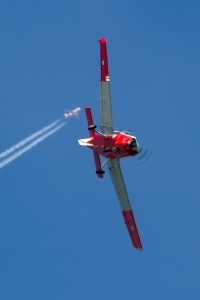 Now in its 15th year, the show has grown from a small fly-in held as part of a country fair into a major flying display. 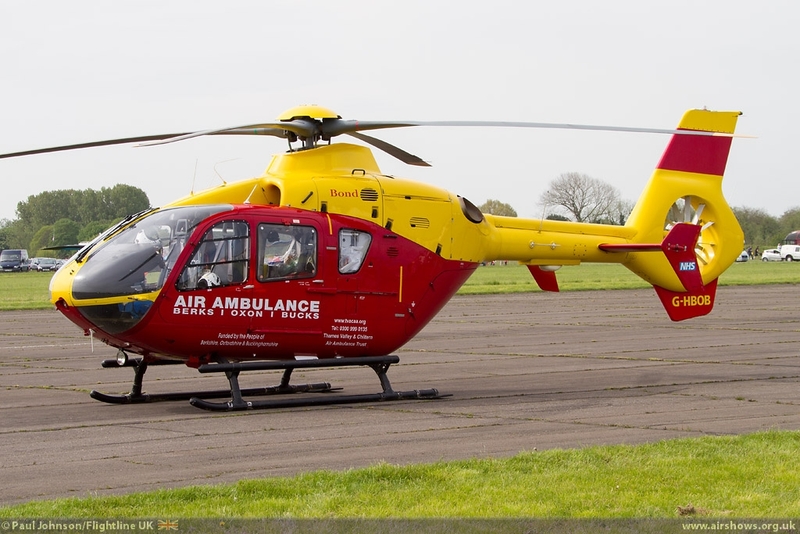 The event has always been run in support of local charities and since 2000 has raised a staggering £57,288 with over £42,000 of that total going to the Thames Valley Air Ambulance since 2007! 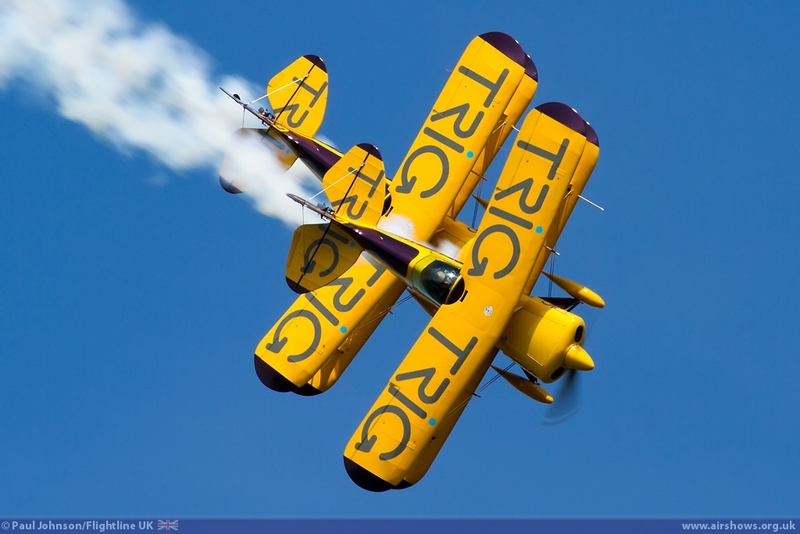 The Abingdon weekend this year was once again blessed with some great weather; warm temperature, light winds and blue skies. 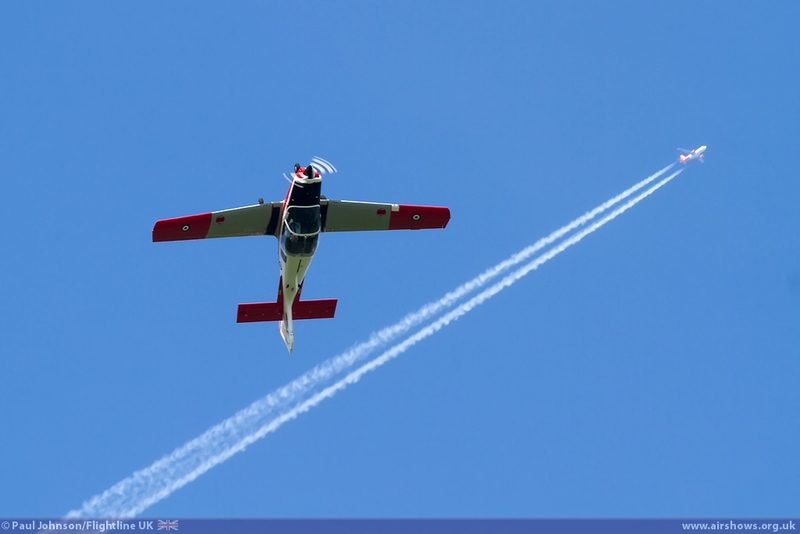 Not only was this great weather for flying and it brought in another big audience which is great news for the fund-raised efforts in benefit of the Thames Valley Air Ambulance. 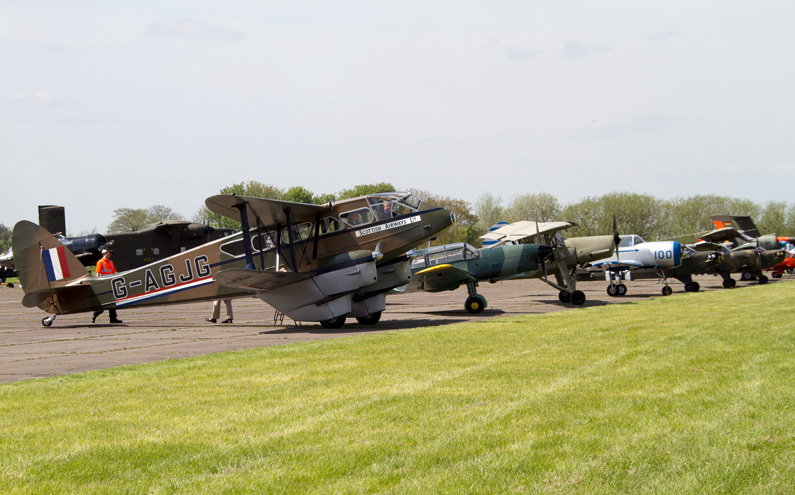 A large fly-in and static display of aircraft remain an important part of the event. 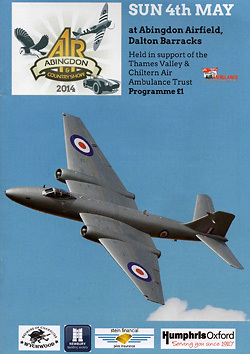 Abingdon is near to two important RAF Bases. 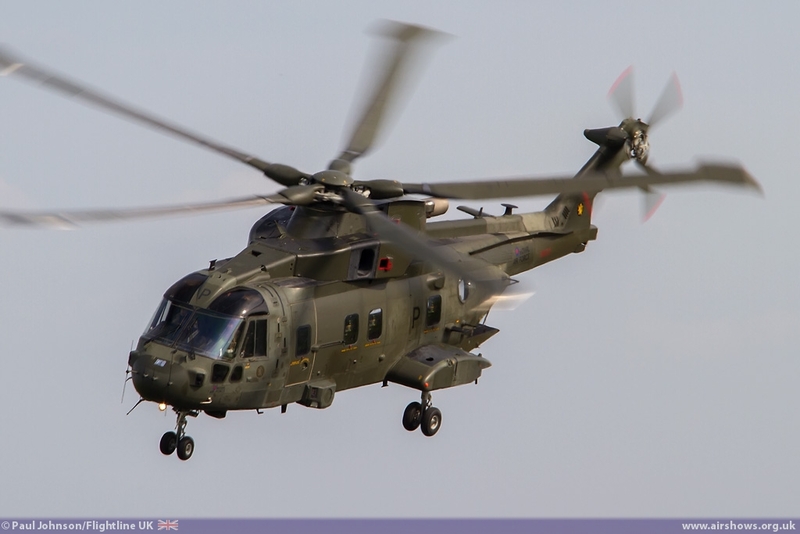 RAF Benson near Wallingford was represented by one its AgustaWestland Merlin HC3s. 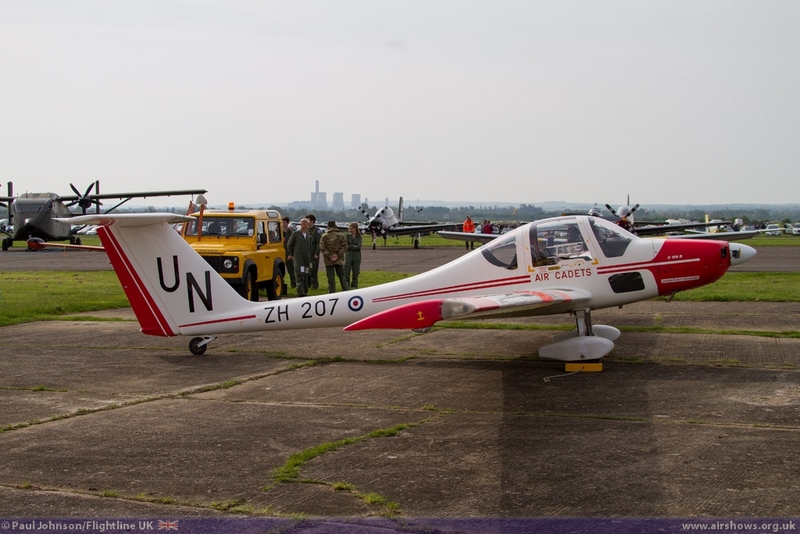 The aircraft spent the morning on static display before departing during the flying display giving a welcome flypast for the crowd. 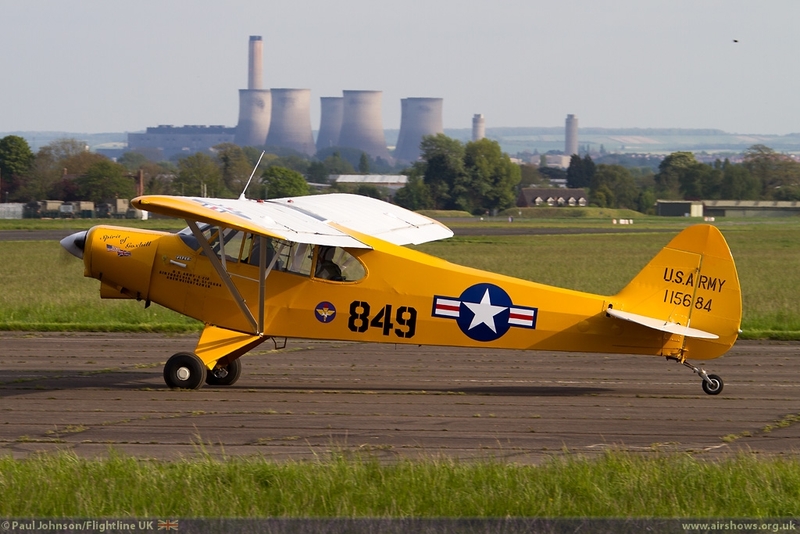 Though Abingdon itself is no longer a major flying or maintenance station for the Royal Air Force, the airfield is still used by the Merlins and Pumas of RAF Benson for various training exercises plus 612 Volunteer Gliding School with its Grob Vigilant T1 motor-gliders based at the site. 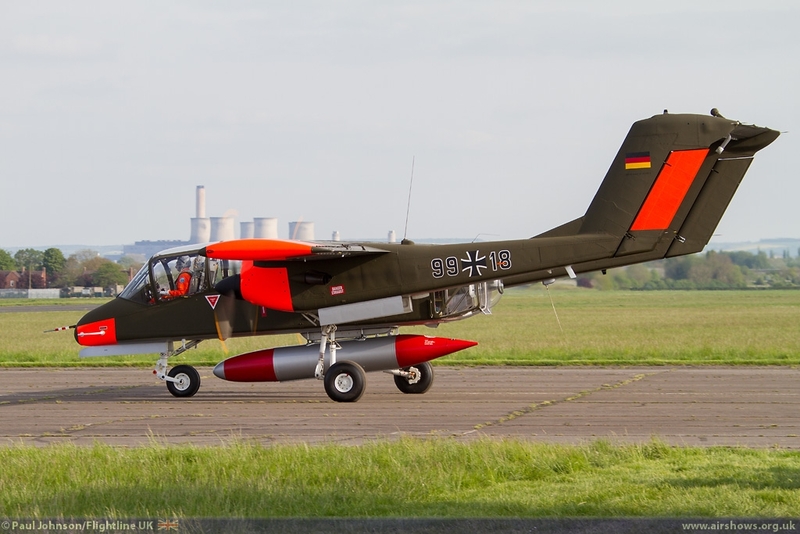 Further military presence in the static display came from the Royal Netherlands Air Force with one of its Pilatus PC-7 Turbotrainers. 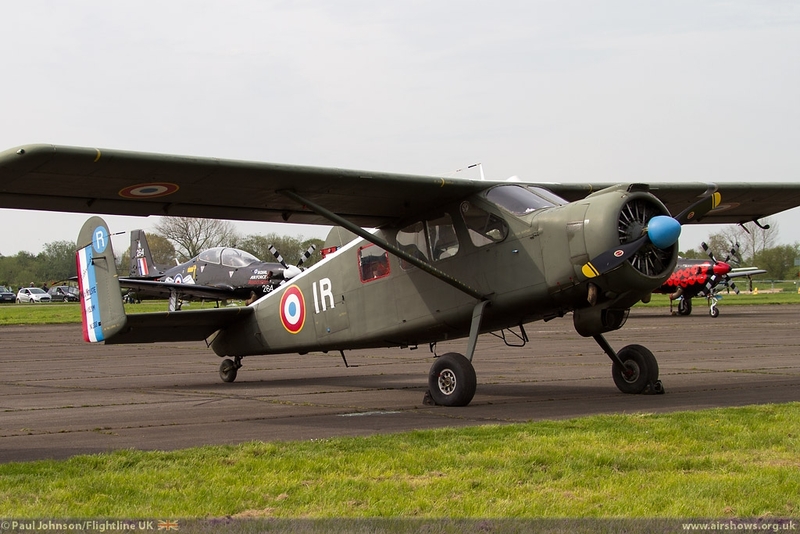 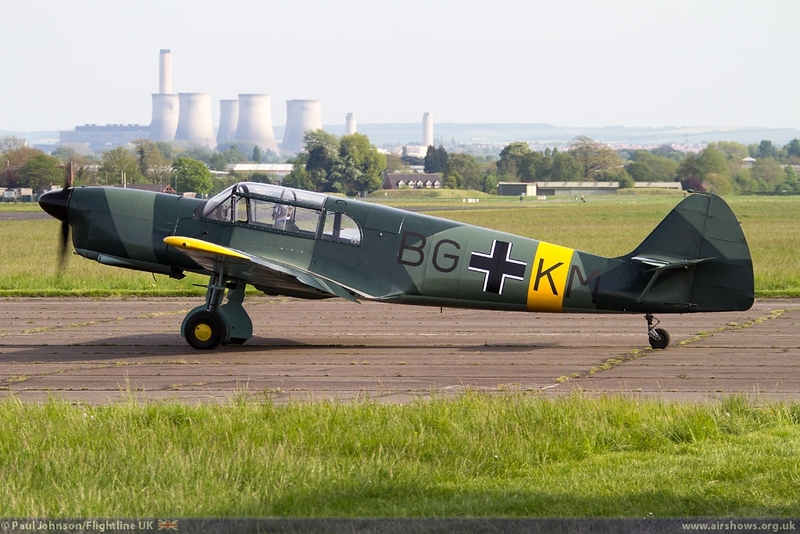 The rest of the static and fly-in drew in many varied civilian operated types such as a pair of Westland Gazelles, Nord 1002 (Messerschmitt Bf108), various de Havilland Chipmunks and a North American T-6 Texan. 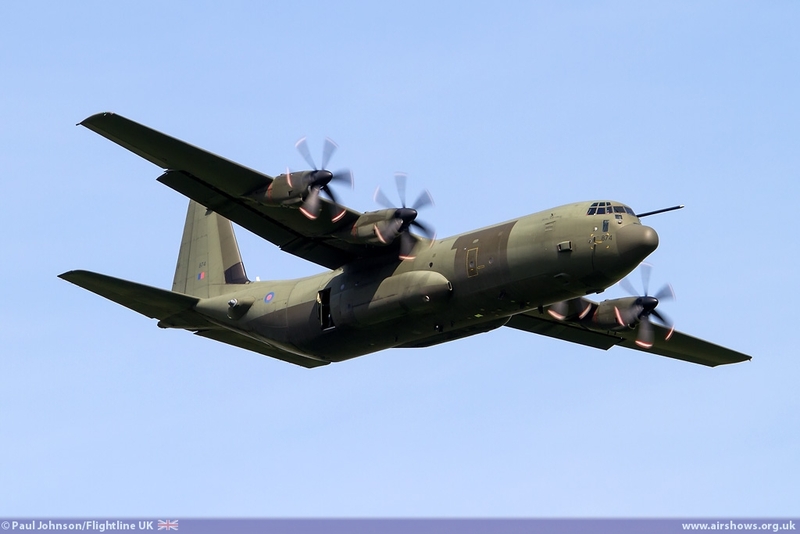 The flying display was opened by the second near-by RAF Station, RAF Brize Norton. 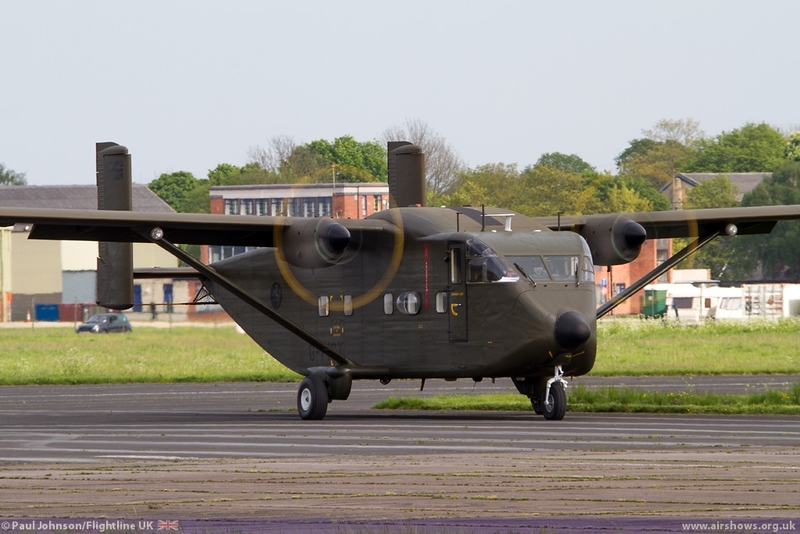 Brize is amongst the busiest stations in the RAF now being responsible for all of the RAF’s transport assets so vital for support the Air Bridge to Afghanistan and other military deployments such as the Falklands Islands. 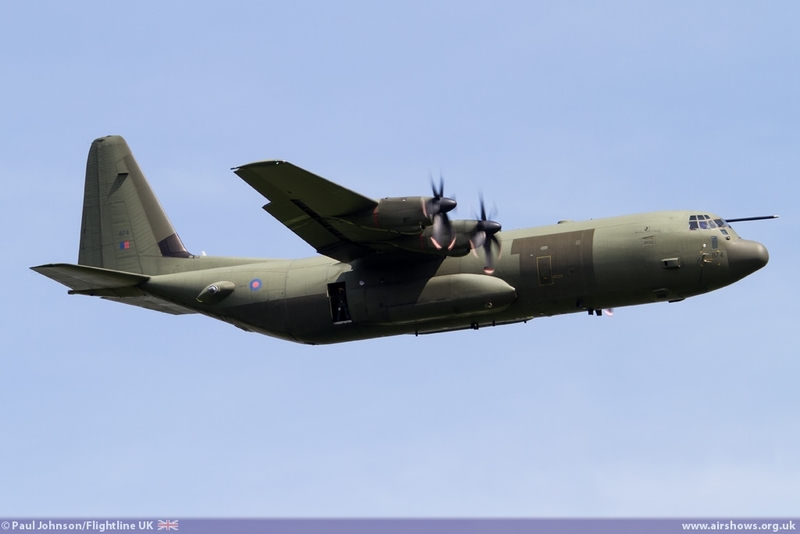 This year saw a flypast by one of the Lockheed Martin C-130J Hercules C4s which have been so heavily involved supporting operations in Afghanistan. 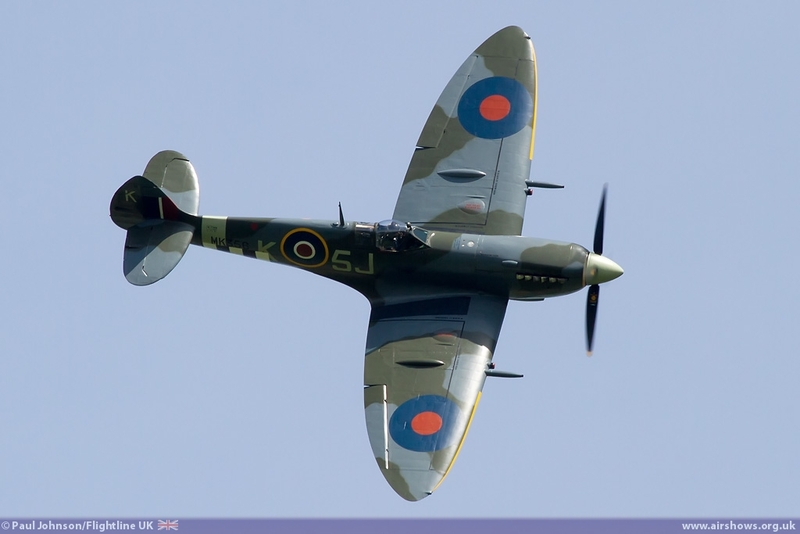 The Royal Air Force involvement continued with the first proper display of the afternoon. 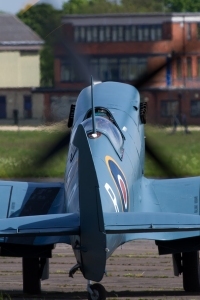 2014 will be another busy year for the Battle of Britain Memorial Flight which will be supporting many different events commemorating the 70th Anniversary of the D-Day Landings and the Arnhem Campaign. Fittingly, the flight’s Spitfire LFIX MK356 has recently received markings of ML214 5J-K flown by Squadron Leader Johnny Plagis of 126 Squadron in June 1944. 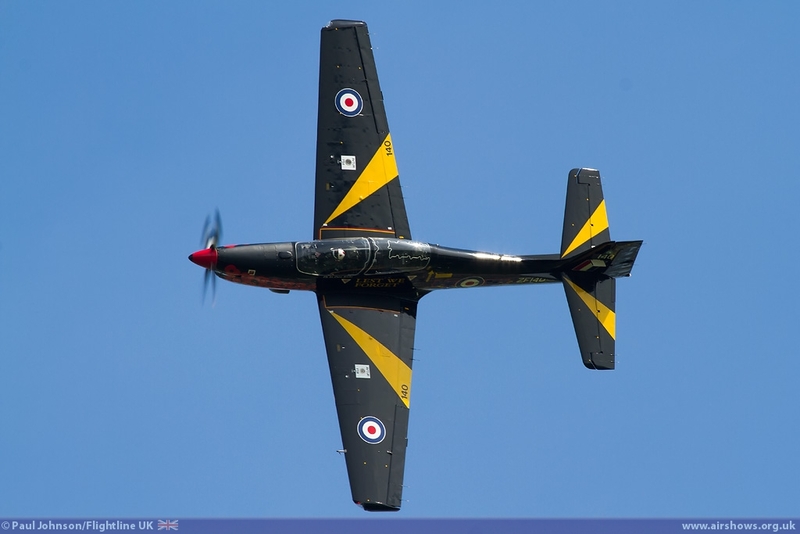 Completing the RAF contribution was the RAF Tucano solo display team on their first engagement of 2014. 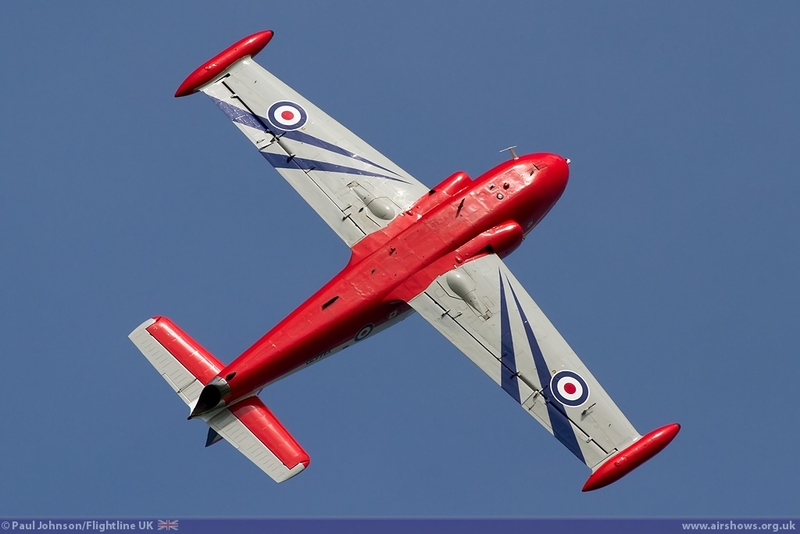 This year sees Flt Lt Dave Kirby take over the duties of display pilot. 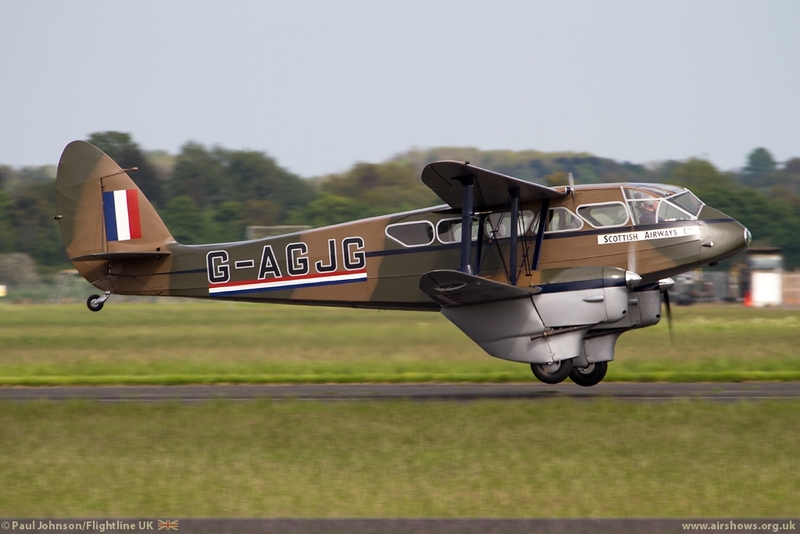 Again the aircraft has received special markings for the display season; this time marking the First World War Centenary and supporting the Royal British Legion. 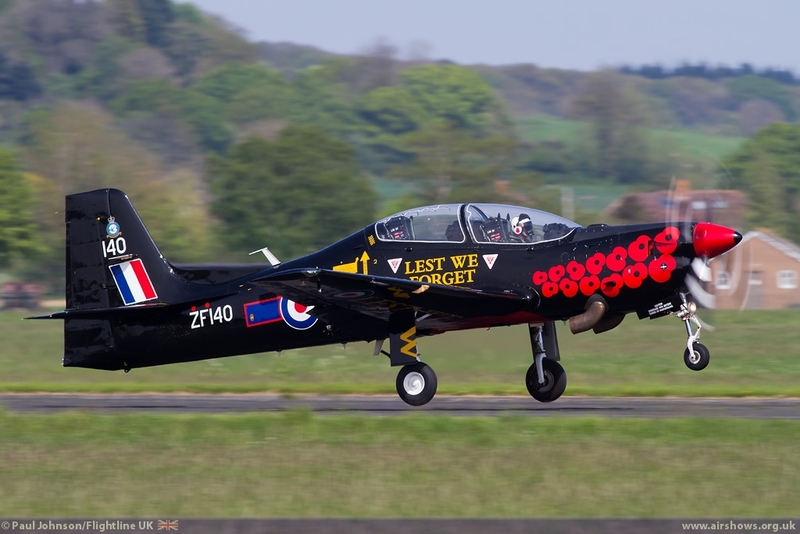 The aircraft has been retained in the standard black scheme so it can still be used for training during the season, but with the addition of the RBL’s Poppy motif and the motto “Lest We Forget.” Dave’s display shows off these markings to great effect and no doubt it will create great interest throughout the season. 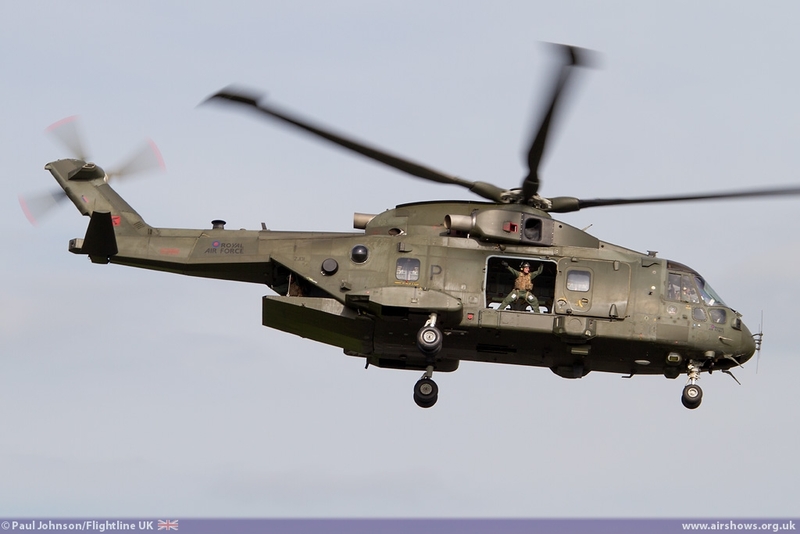 Abingdon always brings together some great civilian displays alongside the military displays. 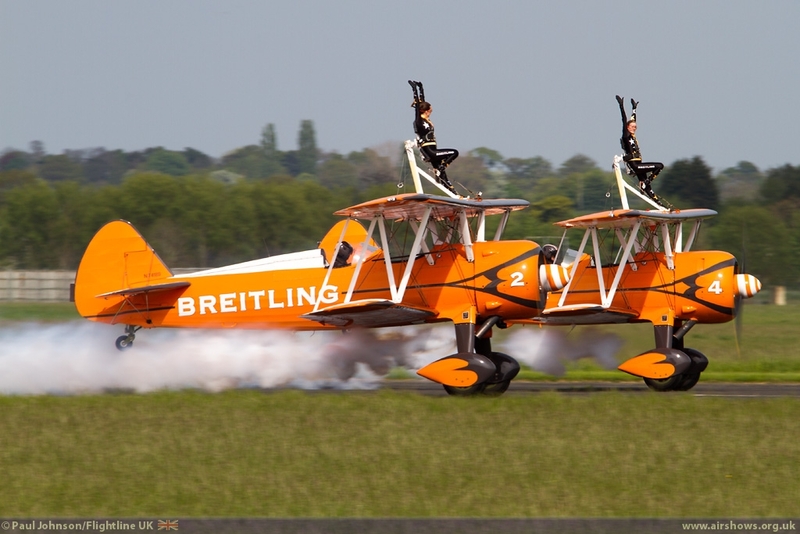 Both the TRIG Aerobatic Team and the Breitling Wingwalkers made welcome returns to the show with their pairs of Pitts Specials and Boeing Stearmans respectively. 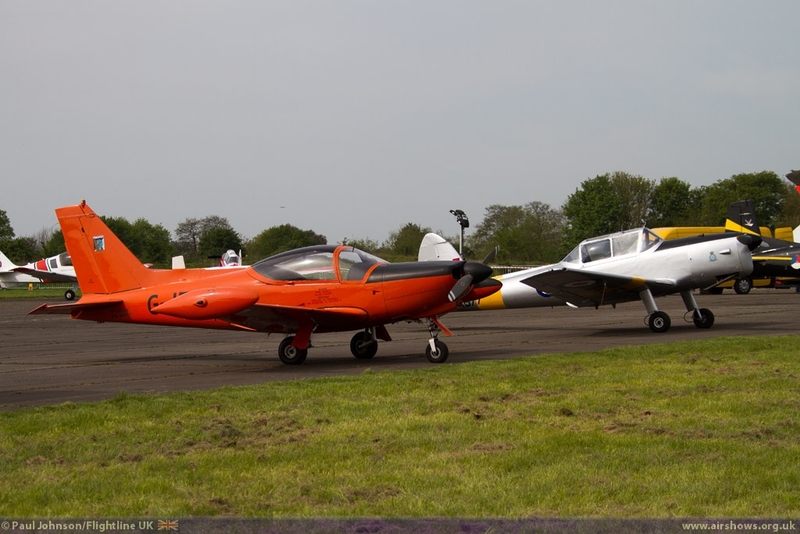 Both teams provide some great colour to any flying display with their very different and eye-catching aircraft and routines that means they are in great demand. 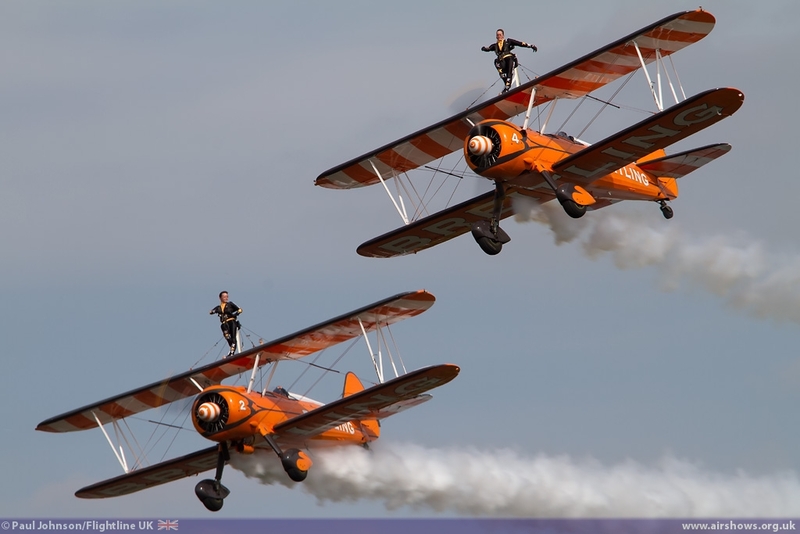 Indeed for the Wingwalkers, their appearance at Abingdon comes off the back their winter Middle East tour which saw them display in Abu Dhabi, Bahrain and Kuwait! 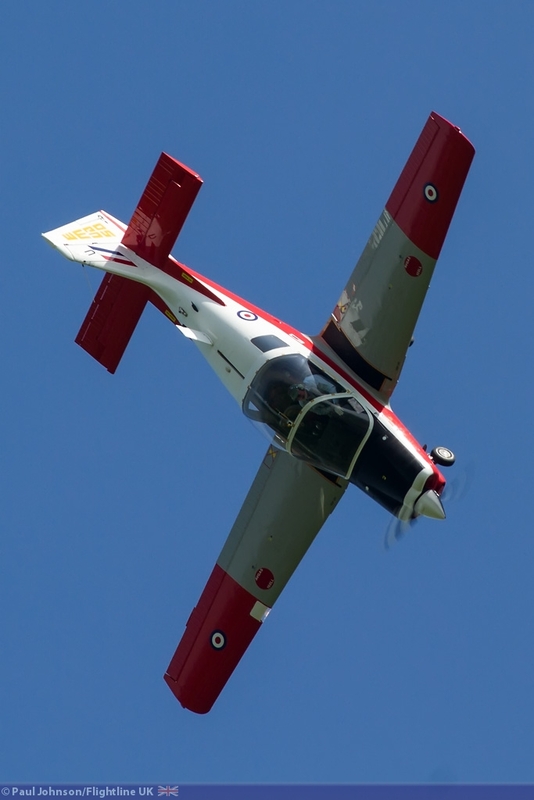 As well as the aircraft displays, the display also featured the Renegades Parachute Team jumping from Invicta Aviation’s Shorts SC7 Skyvan. 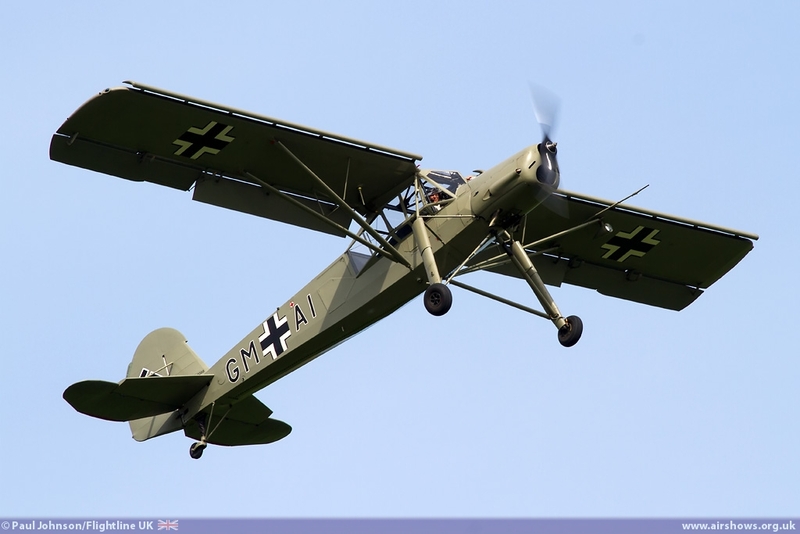 Much of the flying display was based around historic aircraft. 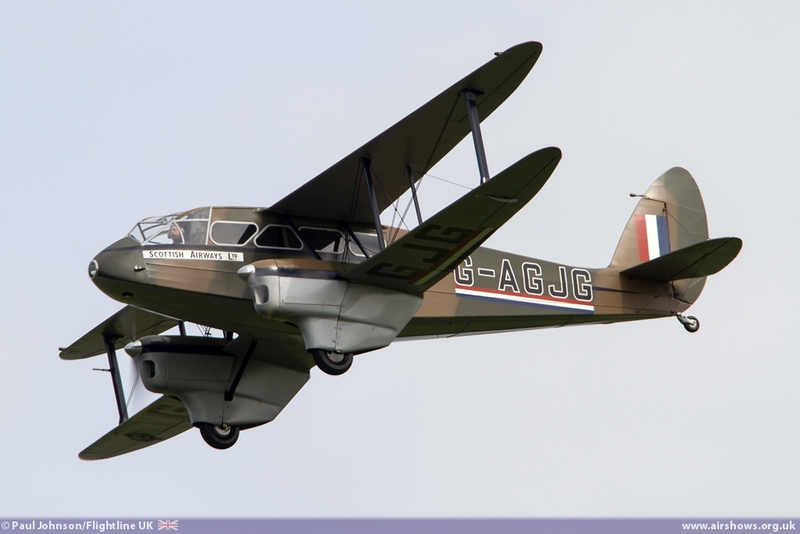 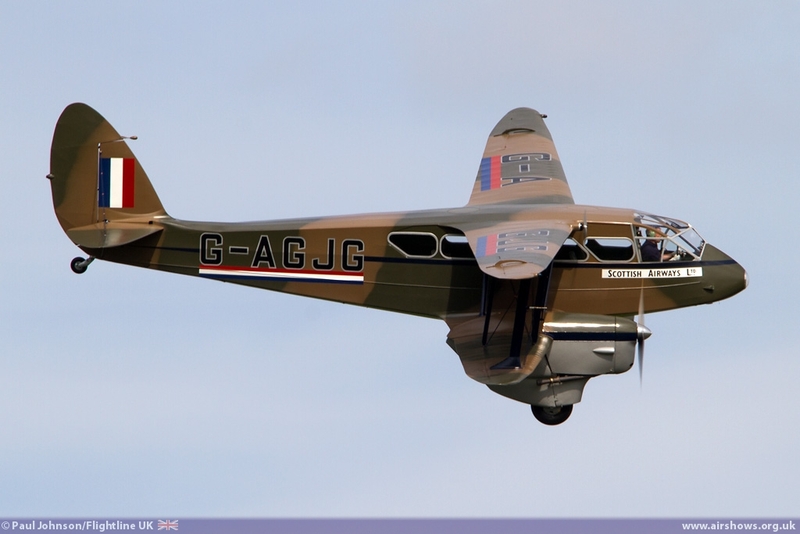 Mark Miller’s de Havilland Dragon Rapide and Peter Holloway’s Fiesler Storch were perhaps the oldest aircraft to take part in the display. 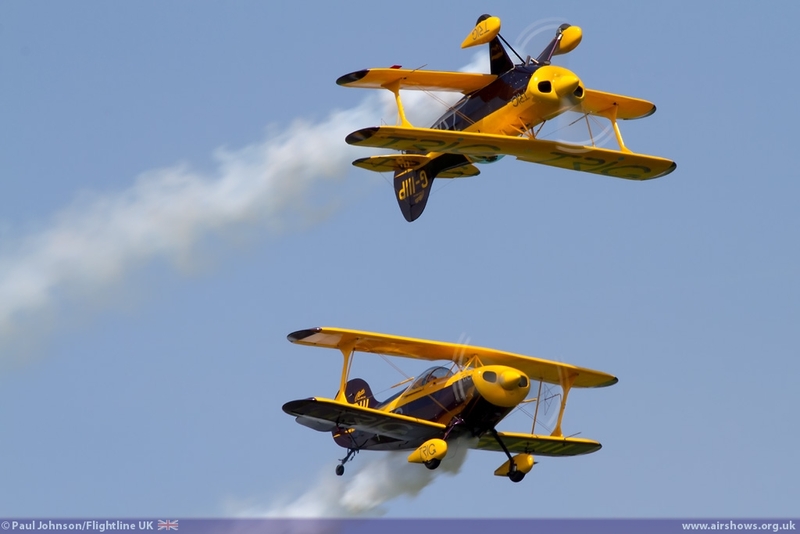 Both were actually brought in at the last minute to replace acts which couldn’t make the show but were wonderful additions in their own right. 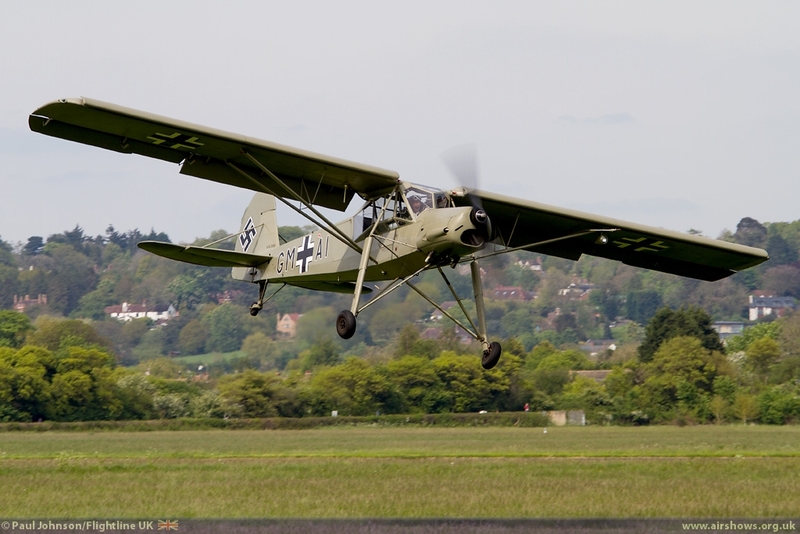 The Storch in particular was a star turn making a rare appearance outside of Old Warden. 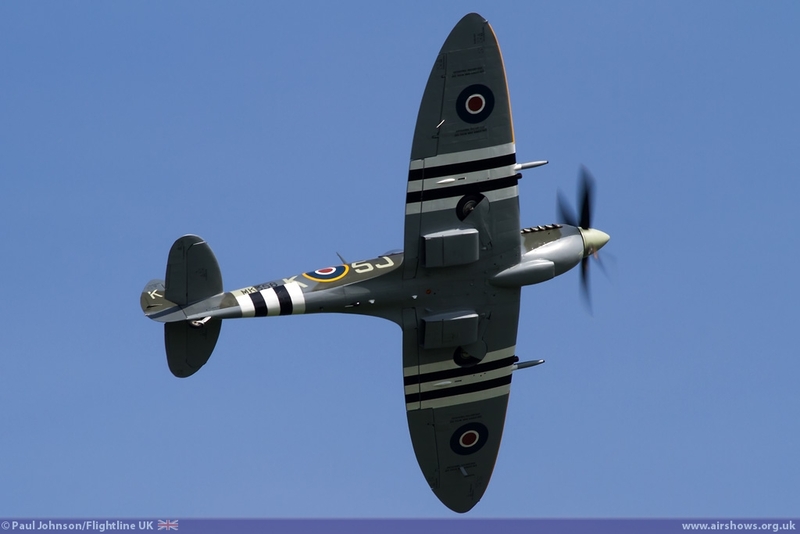 Peter Teichman was once again back at Abingdon, this time with his rare Supermarine Spitfire PRXI. 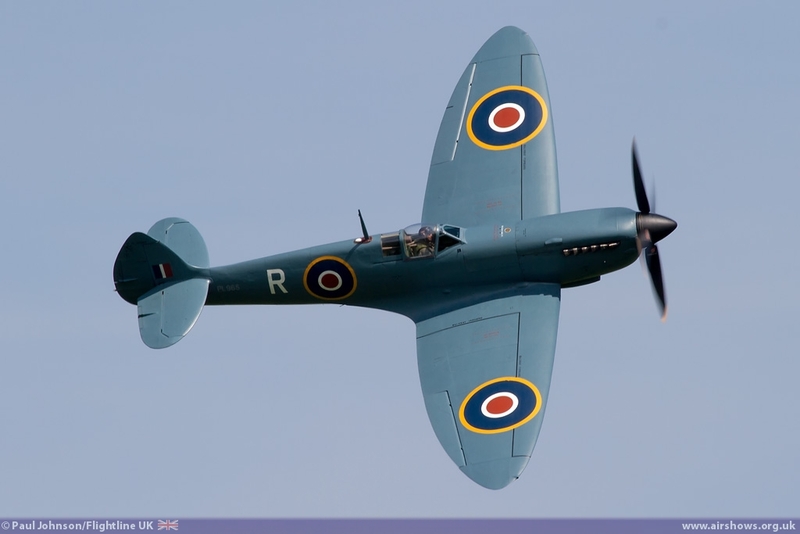 Peter gave a wonderful elegant routine in the Spitfire with sweeping curved passes plus gentle loops and rolls making full use of the airspace to show off his aircraft at his best. 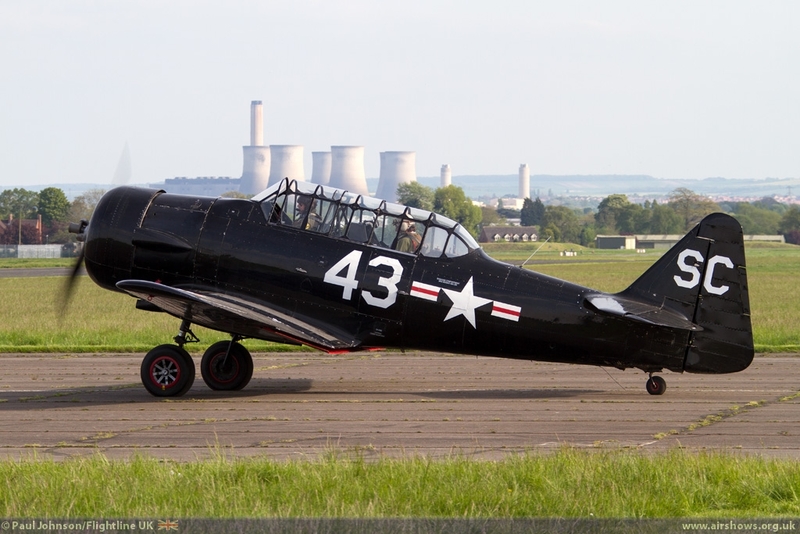 Rounding off the wartime flying was John Beattie in Kennet Aviation’s North American T-6 Texan wearing the markings of the US Army Air Force. 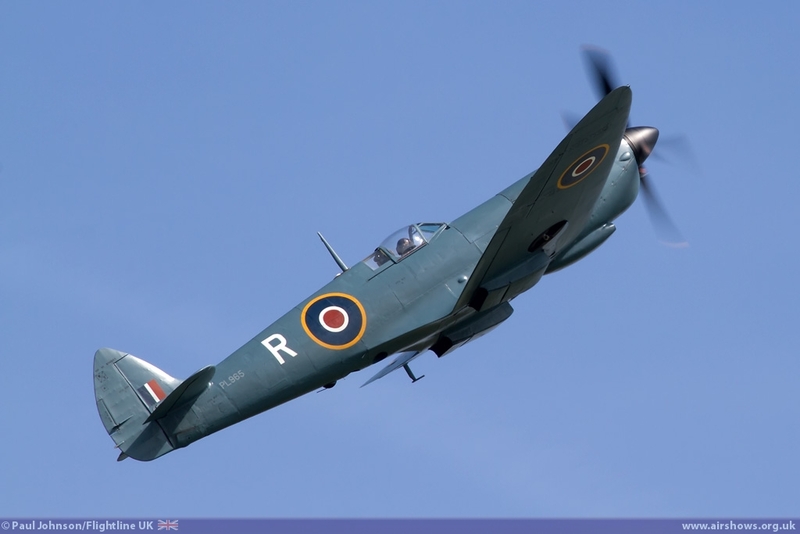 John gave a typically smooth display in the Texan which is often used by the pilots of the Royal Navy Historic Flight to prepare for the more powerful Sea Fury which sadly could not make Abingdon. 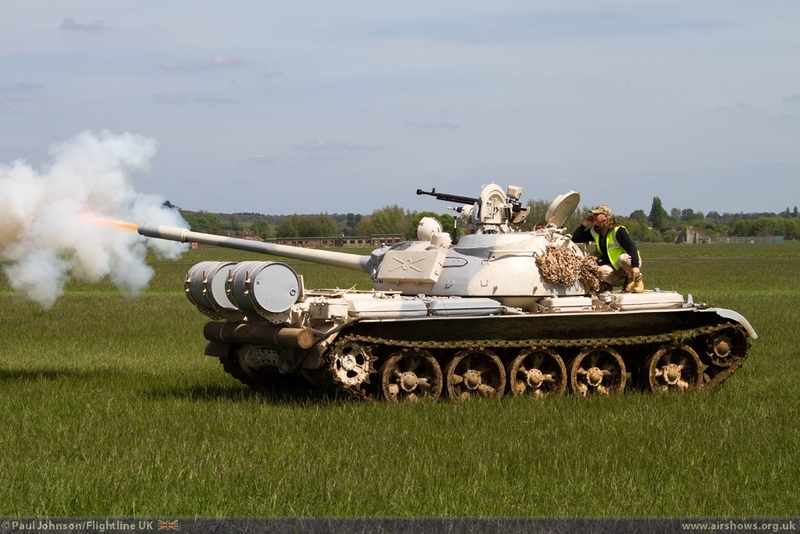 Cold War training types were well represented. 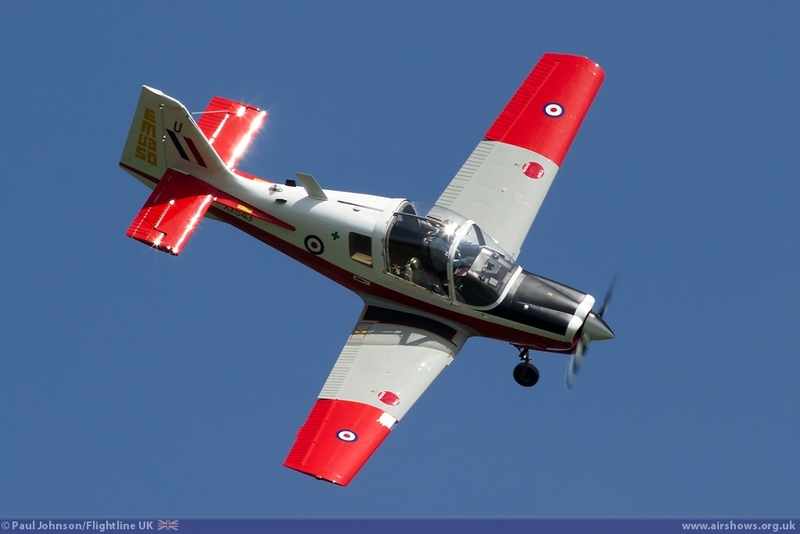 Rod Dean gave a wonderful performance in the Scottish Aviation Bulldog T1. 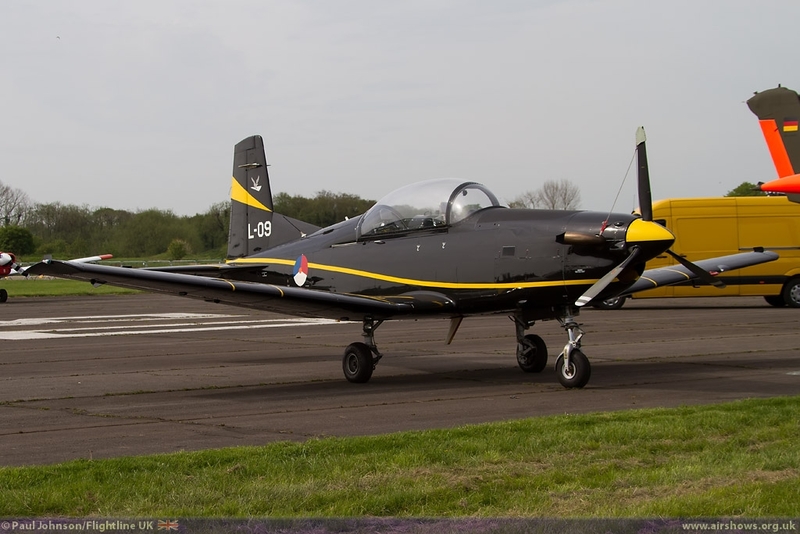 The Bulldog has a special place in Abingdon history have been used by Oxford University Air Squadron when they were based at the station in the 1980’s. 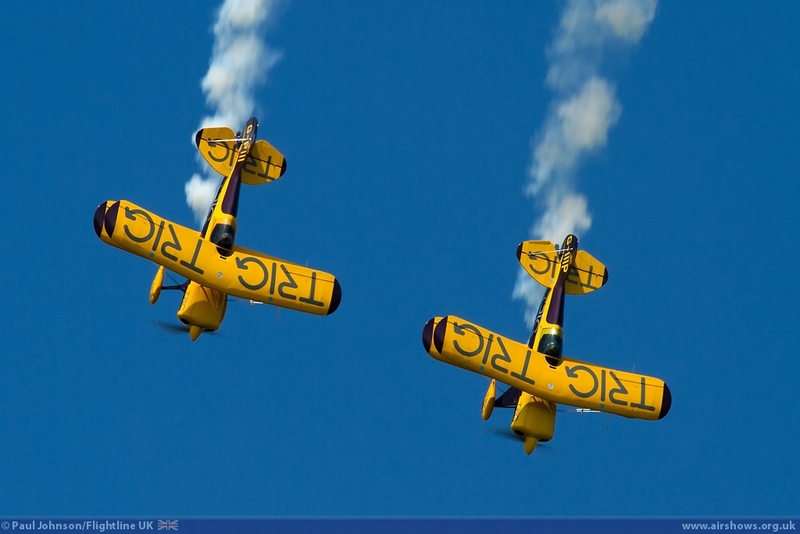 The display also saw a display by a pair of Jet Provosts, though they actually performed two consecutive solo displays. 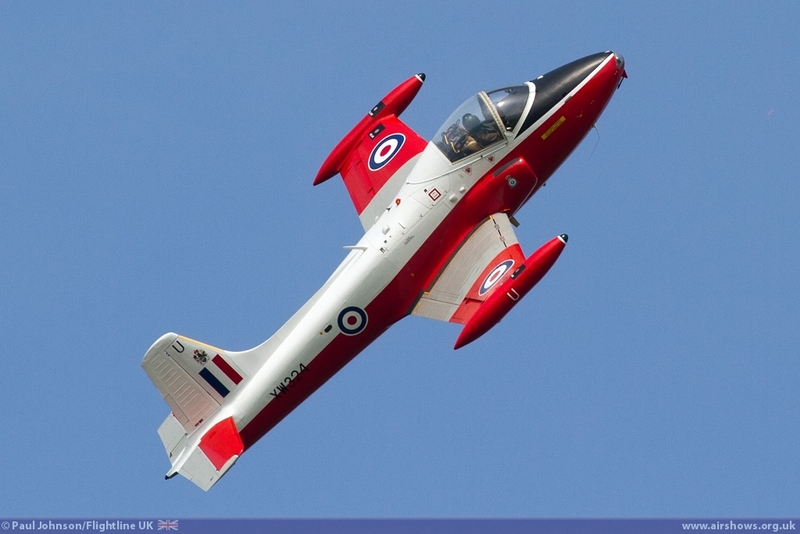 Andy Hill appeared first displaying Jeff Bell’s immaculate BAC Jet Provost T5. 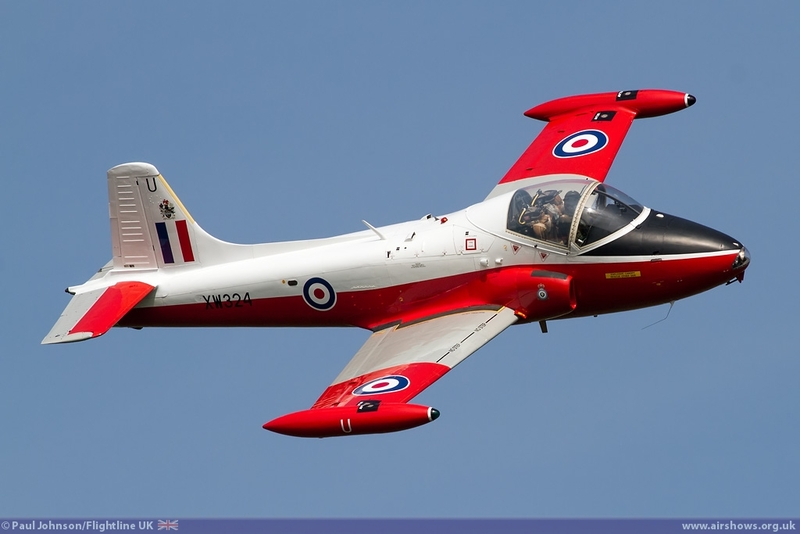 Next, it was the turn of Neil McCarthy in his own Jet Provost T3A which wears the marked of the 1FTS Display aircraft. 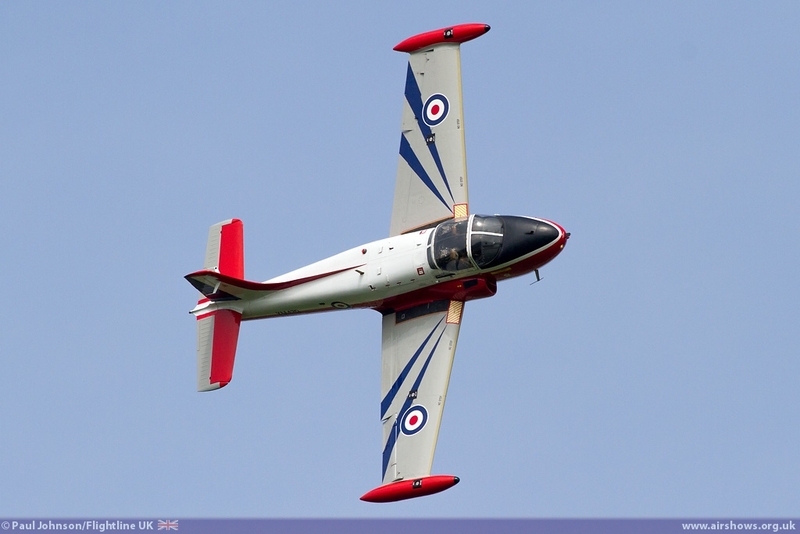 Both put on great aerobatic performances of the classic RAF trainer. 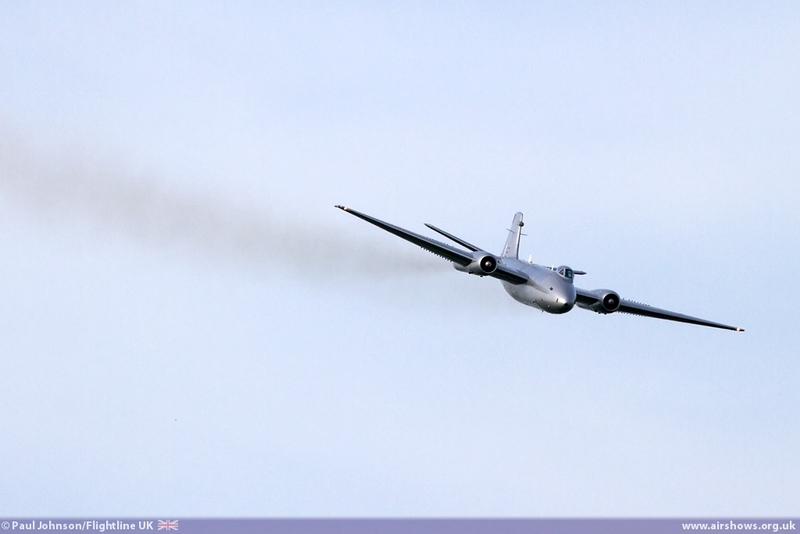 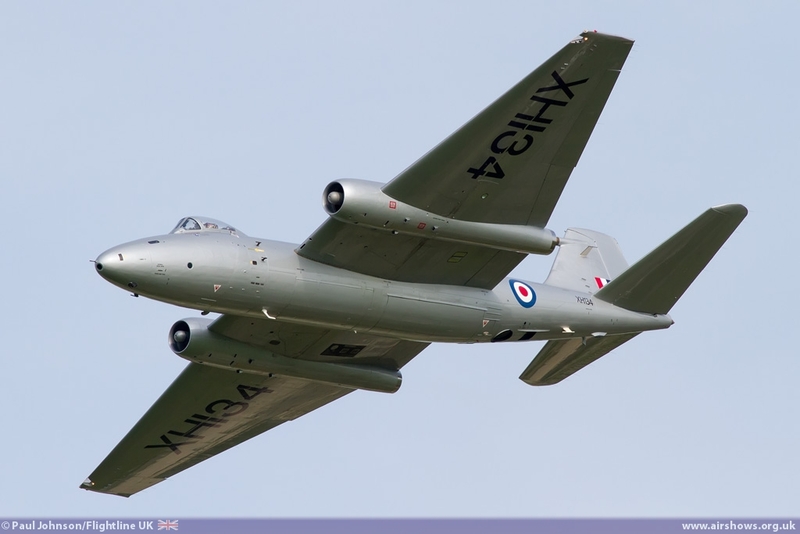 However, the highlight of the day was the Midair Squadron’s BAC Canberra PR9 XH134 flown by Dave Piper. 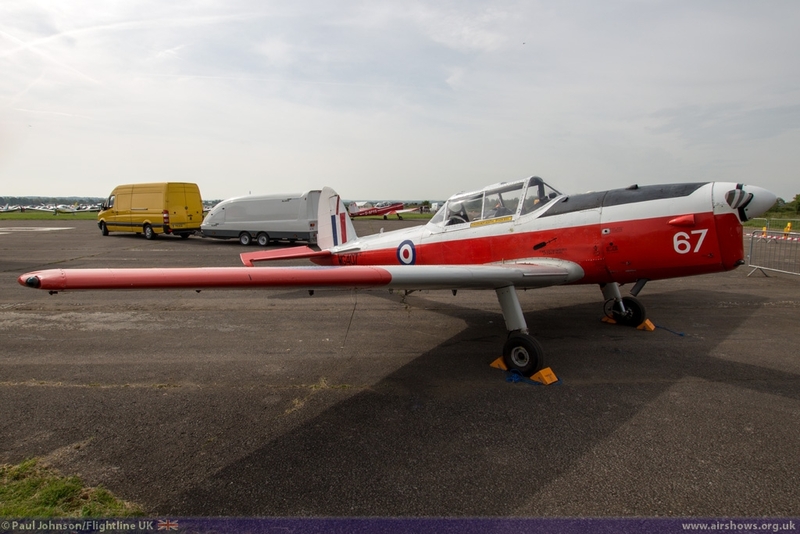 While the aircraft made its public debut at RIAT last year on static display and appeared in the air during the Goodwood Revival, Abingdon was the first chance for many to see the aircraft displayed in civilian hands. 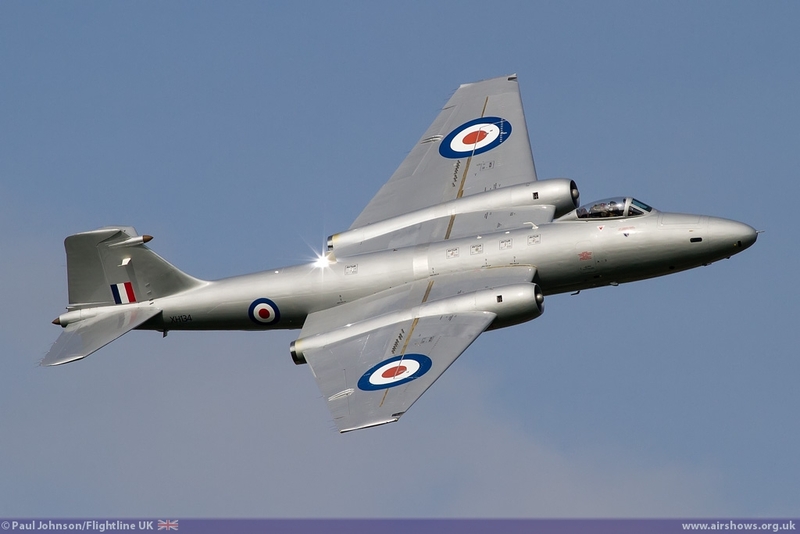 Since it first appeared at RIAT, the Canberra has received a makeover and now wears the classic silver and full colour roundels of the 1950’s RAF. 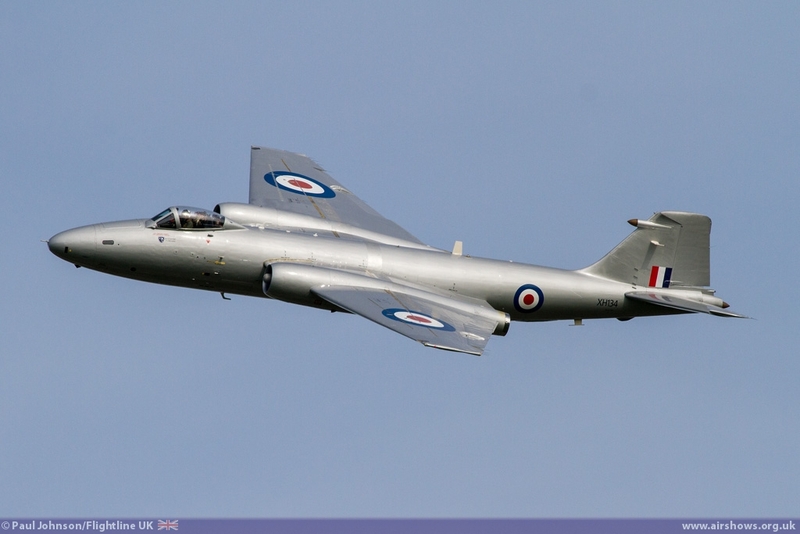 Dave’s display make great use of the types surprising agility for such a large aircraft and also its power ending his display with a howling fast pass before clearing home to Kemble. 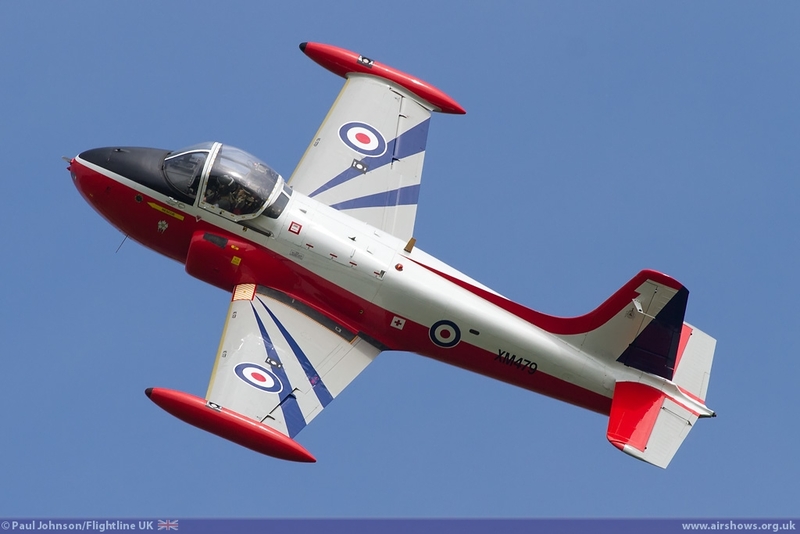 Sadly due to paperwork issues, Midair were unable to debut their pairs routine with one of their Hunter T7s but we look forward to seeing that later in the season. 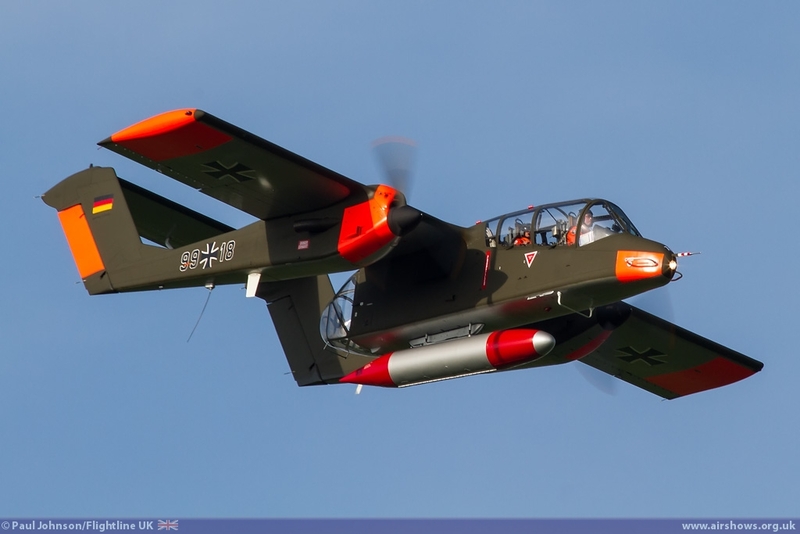 However, we could not close this review without a very special mention for the Bronco Demo Team. 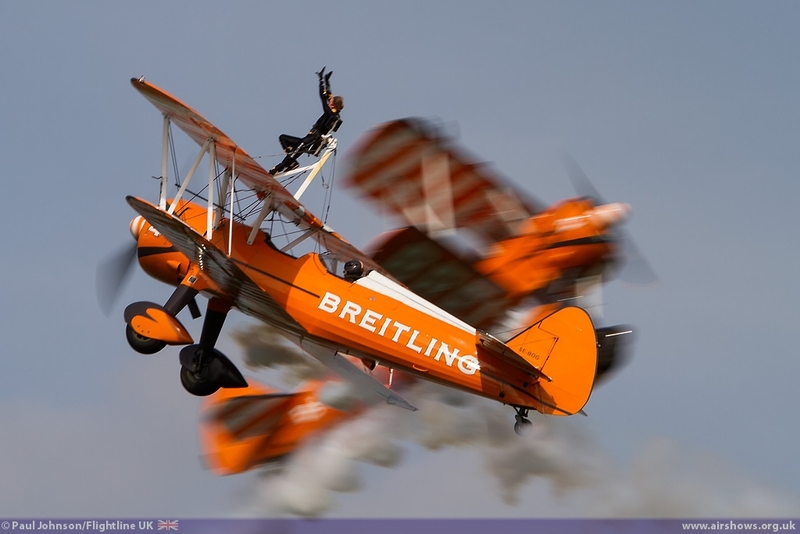 Tony de Bruyn has always supported the show very well. 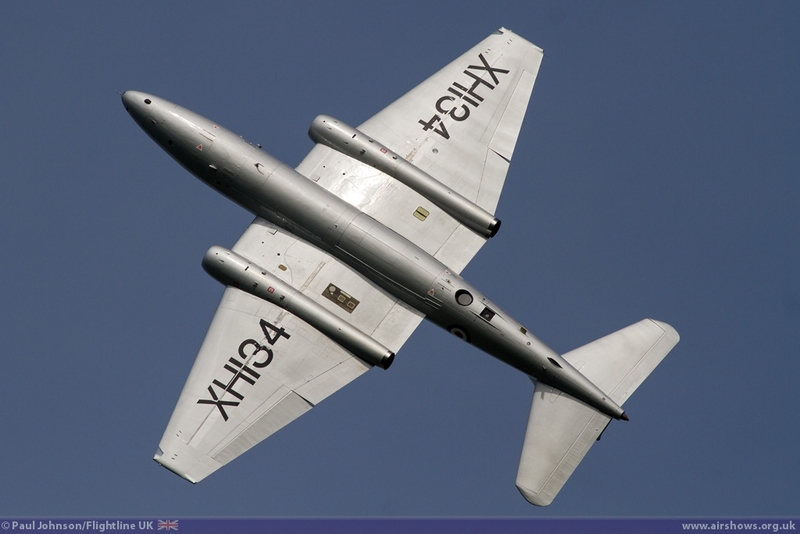 As many of you may know, Tony was badly injured in a display practice accident in 2012 at Kemble. 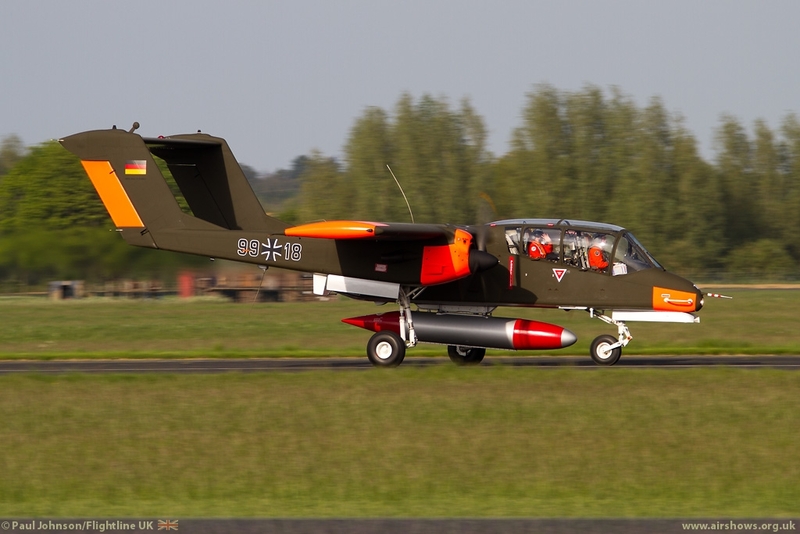 Tony however has made a wonderful recovery and 2014 saw him, his team and a new North American OV-10B Bronco back in the UK. 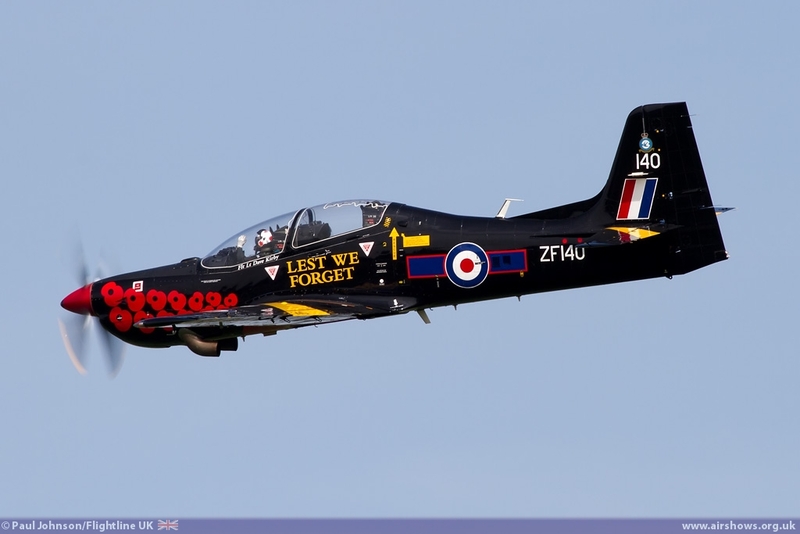 The day before Abingdon the team held a special fan day back at Kemble to meet many of the people who helped in the immediate aftermath of the accident and to celebrate his return to the display circuit. 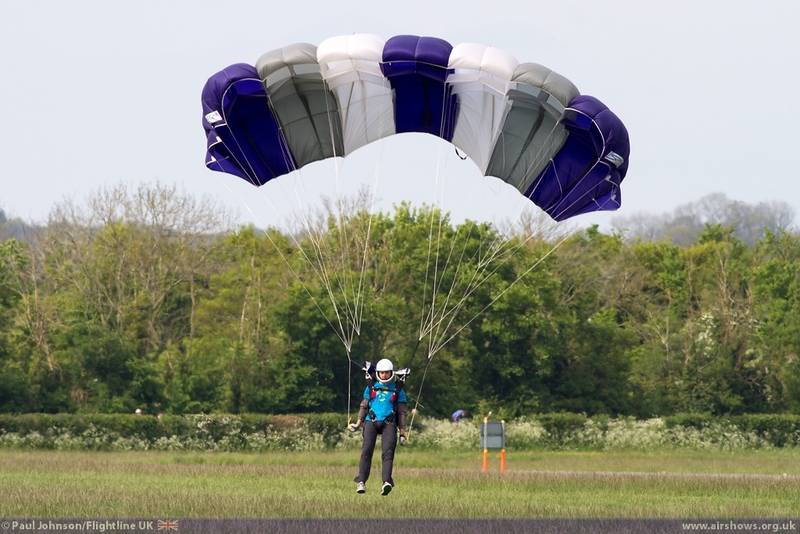 It is great to have the team back who are always such great participants at the shows they attend. 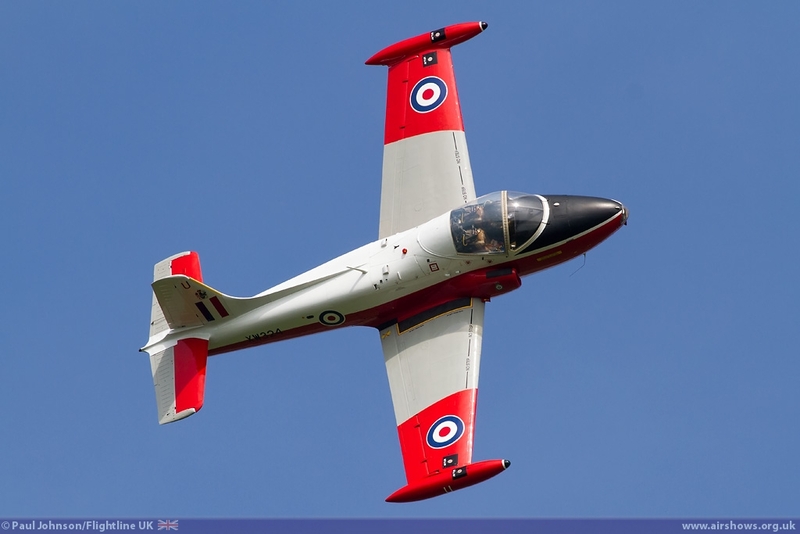 Neil Porter plus all the volunteers that help put on the Abingdon Air and Country show deserve a great deal of thanks for putting on such a fine event year after year. 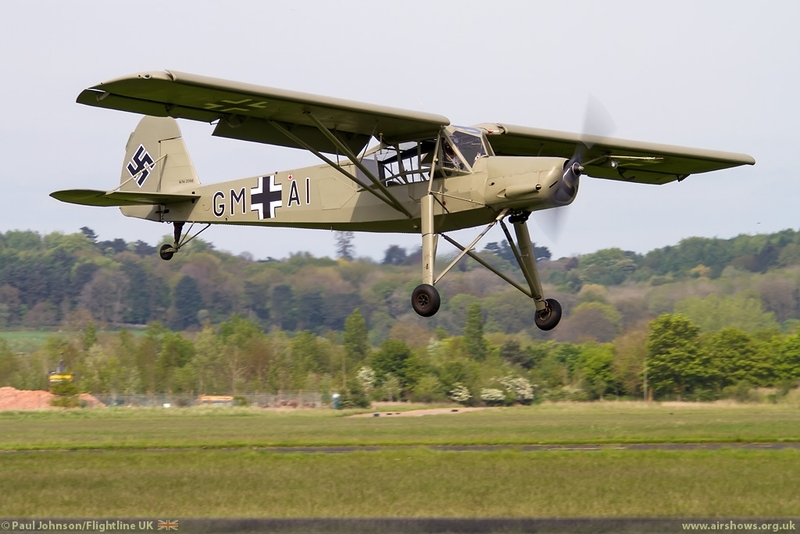 The show is always great fun to attend, particularly with such great weather and flying as we had this year. 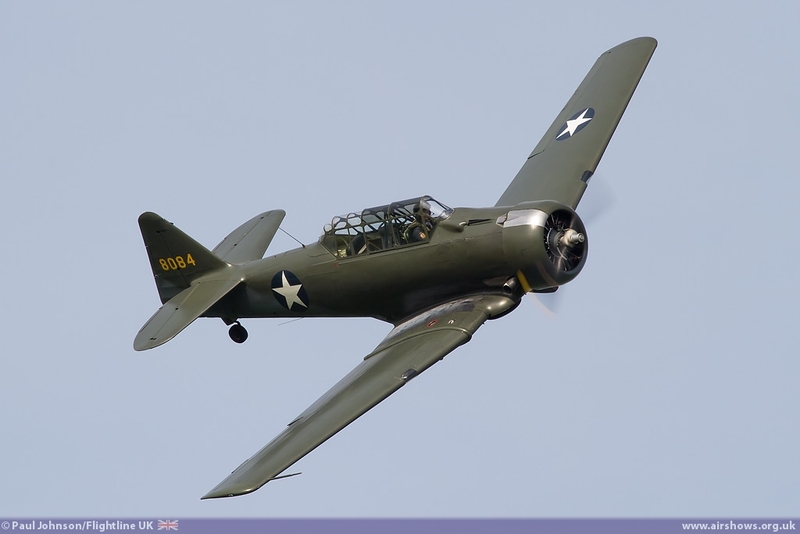 We look forward to seeing what they come up with in 2015!